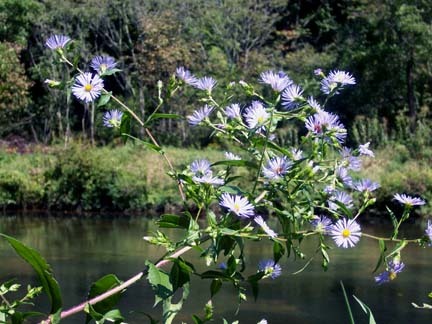 I decided to put another aster photo on the site. I was standing in the same place as I was standing when I shot the other, almost identical, photo. The shot is one of my favorites. I was enjoying this spot so much. ~ by Sandra Lynn Gray on October 14, 2007. That is a really beautiful shot! Oh thanks so much. I have posted another earlier that is almost like it but I couldn’t resist posting this too. The other has a clearer background and I thought it might be the better of the two but I don’t know. I like this. You can see that I love the plants. Running around photographing sort of takes the place of my unrequited gardening needs. My dad had a 14 acre aboretum and wildflower refuge. I have a 50 foot lot in midtown.